Kurihara wrote: Yeah, something like that. Though there were only two of us with shinkis.)) But still. The place is really nice, decorated as a little Moomin house with various buttons, pillows, post-cards, hand-made and all this staff. I really dream of a big shinki-meet with lots of various shinkis. But I have only 6 friends, who are the masters. All of them are quite busy and all. T_T No time for such staff. But practically all our girls are differend (well, maybe just two are the same - we have two Tigris and two Proximas (ordinary and Spinel)). And it would be nice to have a big master-meet and make pics of different girls. Yeah… and they also don’t seem to be motivated for any meetup, at least if it’s not invitation from someone they knew for years. Lock Cade wrote: D'aaaaaw, cute photos! Same here. My friends who brought me into all of this are not interested in shinkis as great as they were some time ago. I'm afraid, that is a Konami fault too, as there is no any news or new shinkis and all this. It is hard to save great interest when you have no fresh "food" for your hobby. 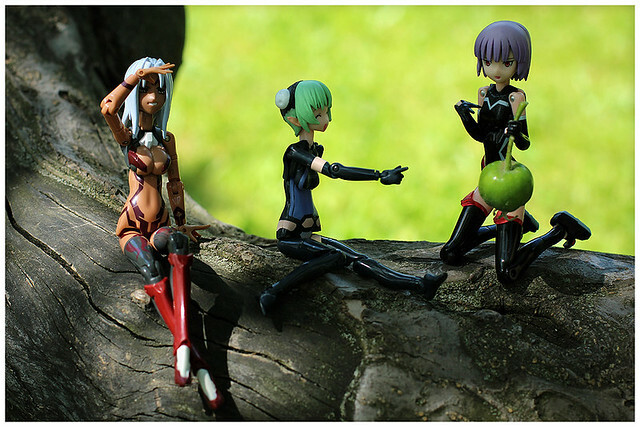 I do not say buy new shinki now and than, but at least have something to discuss and all. If you do not modify them or create smth for them, all these meets are just end up in making some pics and talking about everything except shinkis and that's all. Ohh! The pics of your girls at the cafe are so adorable! Such a wonderful place to take pics at!! ... made by my friend recently in one of our Moscow parks where we had a small picnic with our shinki. Oh wow, those pics are pretty sharp! =O Love the pic of Graffias the best! XDD Good camera makes everything look great. Recently bought this soft cushion for my girls.